Although it’s been 20 years since the debut of the romantic comedy film Sleepless in Seattle, gray and pink nightshirts sporting the movie’s title are still among the bestsellers at Seattle-Tacoma International Airport (SEA), with 9,000 of the shirts sold last year. Bottled water, diet Coke and neck pillows are – no surprise – among the best selling items at most airports, but “although some have officially laid magazine sales to rest, hard copies of magazines are still a top seller at Hudson News,” said Hudson Group spokeswoman Laura Samuels. Samuels confirms that around the country, many airport bestsellers are tied to local culture. For example, during 2012 Nashville International Airport stores sold over 67,000 Goo Goo Clusters, a locally-produced treat that doubles as an inexpensive souvenir. “Customers also snap up anything with the likeness of popular country singer Taylor Swift,” said Samuels. Since 9/11, FDNY and PDNY souvenir apparel is a strong seller in the New York City airports and Samuels said sales of teddy bears from the Vermont Teddy Bear Company are so popular at the Burlington Airport that the Hudson Group will soon expand sales of the bears to airports around the country. At Cleveland Hopkins International Airport (CLE), the Rock & Roll Hall of Fame Museum Store sold more than 4,500 Rock Hall inductee t-shirts in 2012. With Heart, Donna Summer and Albert King among the 2013 inductees being honored on April 18th, sales should certainly remain steady. Another CLE bestseller: Bertman Ball Park Mustard, a condiment served at Progressive Field, home of the Cleveland Indians. More than 1,500 containers of the locally-made mustard were sold at the airport last year. At Chicago’s O’Hare International Airport, two things that sell exceptionally well are Chicago Style Hot Dogs and Chicago-themed coffee mugs. According to Sarah Cody of the HMSHost Corporation, more than 500,000 Chicago Style Hot Dogs are sold annually at the various HMSHost venues throughout the airport and more than 50,000 Chicago-themed coffee mugs are sold in airport Starbucks stores each year. At BWI Airport, thousands of travelers stop by the airport branch of Obryki’s, a local favorite, just to get crabs. During the month of February 2013 alone, travelers bought more than 4,000 crab cakes and an equal number of deviled crab balls. Scorpion lollipops (hard candy with a scorpion in the center) are also popular at PHX and at El Paso International Airport. JoAnn Kirkland, general manager of the El Paso airport Paradies Shops says up to 300 scorpion and tequila worm suckers, priced at $3.99 each or 3 for $10, are sold each week. 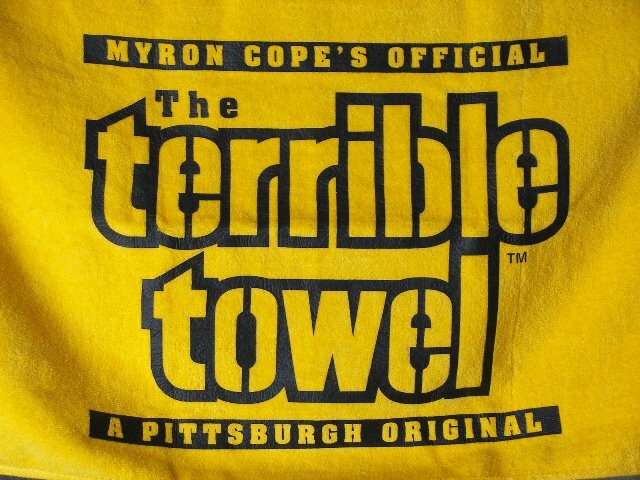 During 2012, Hudson News and Gift shops at Pittsburgh International Airport sold about 3,000 Pittsburgh Steelers souvenir “Terrible Towels” and earlier this month the PIT TGI Friday’s accommodated its largest group ever: on March 13th a group of 120 people stopped by for a sit-down breakfast. Throughout the year, shops at Missouri’s Kansas City Airport (KCI) do a brisk business selling cow-tipping t-shirts and souvenirs relating to the Leavenworth penitentiary. The Kansas City, MO metro area includes parts of Kansas, so with opening of the new Disney Oz movie, sales of Wizard of Oz-related items such as Dear Dorothy t-shirts have spiked. Down in Texas, more than 17,800 “Keep Austin Weird” t-shirts were sold at Austin Bergstrom International Airport last year while travelers tucked into more than 498,000 breakfast tacos and, at the airport’s Salt Lick Bar-B-Que, more than 54.5 tons of brisket in the form of tacos, platters, sandwiches, and whole frozen briskets to go. At Minneapolis-St.Paul International Airport (MSP) the popular dish at many restaurants is walleye, the state fish of Minnesota. At least two hundred walleye dishes are served throughout the airport each week, said Kate Dougherty, MSP concessions marketing manager, and stores report brisk sales of Minnesota-made items such as blueberry and chokeberry syrups and “anything with a moose on it.” During 2012, MSP airport shops also sold more than 22,500 packages of Pearson’s Nut Goodie, a candy that originated in Minnesota over 100 years ago. (My story – Surprising best-sellers at airports – appeared as an “At the Airport” column on USAToday.com, with a lovely slide-show version of the images.